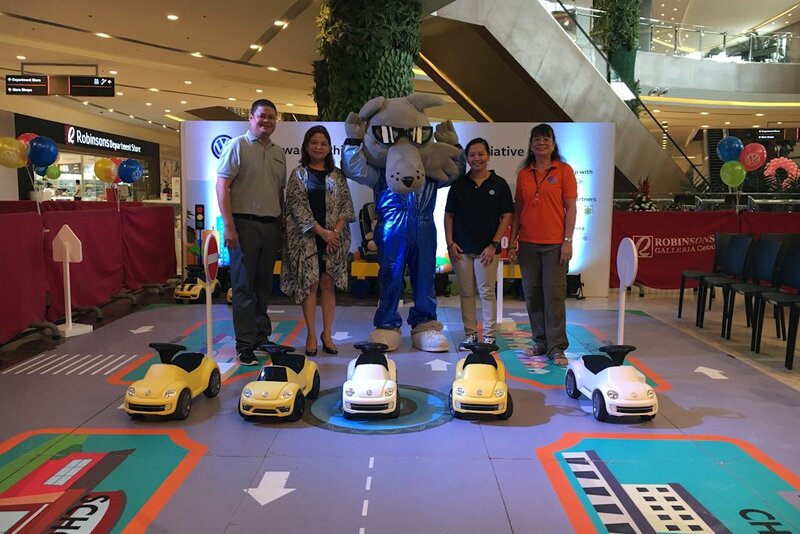 After successful runs in Metro Manila and key cities in Luzon since its April 2015 launch, Volkswagen Philippines’ award-winning Child Safety Initiative (CSI) campaign has crossed over to the Visayas region, and launched on October 15 at Robinsons Galleria Cebu. Volkswagen Cebu facilitated the event, which kicked off when the mall opened at 11:00 a.m. The formal opening ceremonies were attended by Volkswagen Cebu’s Branch Manager Ren Dumaraos, Robinsons Land Corporation’s Mall Operations Manager Marion Concordia Saguisag, and Philippine Global Road Safety Partnership’s Director Marte Perez, who all expressed the timeliness and urgency of the campaign during their special messages at the opening. The CSI venue was opened to the mall-going public immediately after the ribbon-cutting ceremonies. The CSI campaign highlights the Junior Driving Course, which features a miniature simulated roadway within a community, complete with road signages, stoplights, and miniature cars for the kids to use. Samples of child seats were also on display at the Child Seat Corner. Volkswagen Cebu also added a few attractions for the parents such as special offers and display of the Touran multi-purpose vehicle and Tiguan compact SUV. The CSI activation in Visayas is timely due to increased road activities, particularly in its highly urbanized areas, bringing up the number of traffic-related accidents. Since its launch during the Manila International Auto Show in April 2015, the CSI campaign in Luzon and Visayas had a total of 7,048 children and 5,360 parents who participated in 33 venues. This child road safety advocacy increases awareness and imparts valuable lessons towards preparing the kids—along with their parents—to become responsible adult road users.